nestled in a large grove of aspen trees. 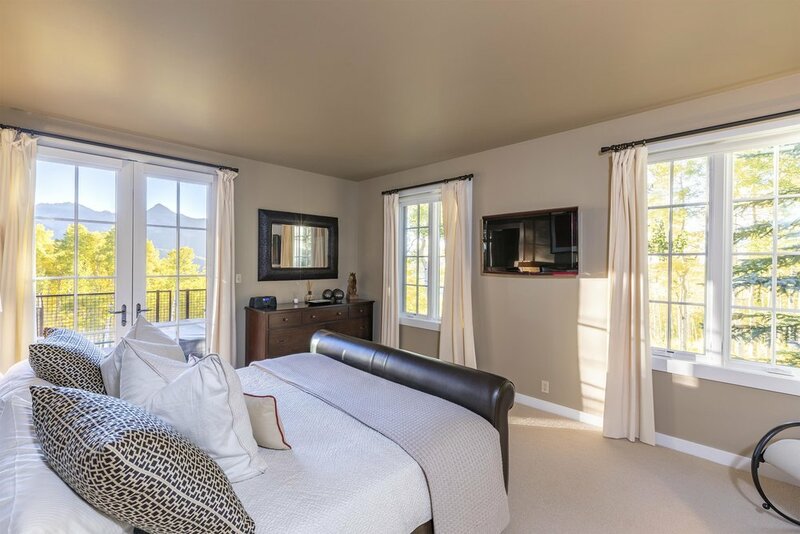 Designed with friends and family in mind, the home features a gourmet kitchen that opens into a large dining area and living room where everyone can gather and catch up on their day. 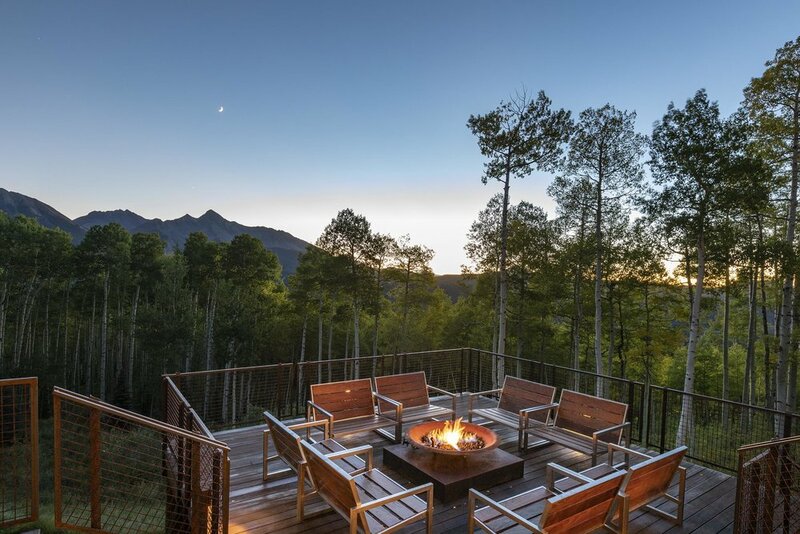 Relax and watch the colors of the sunset come alive over Wilson Peak and Sunshine Mesa from the outdoor living area that features 2 fire pits, a stainless steel hot tub, and heaters. Enjoy a mile of private trails that link up to a more intricate trail system throughout Raspberry Patch and into the National Forest. 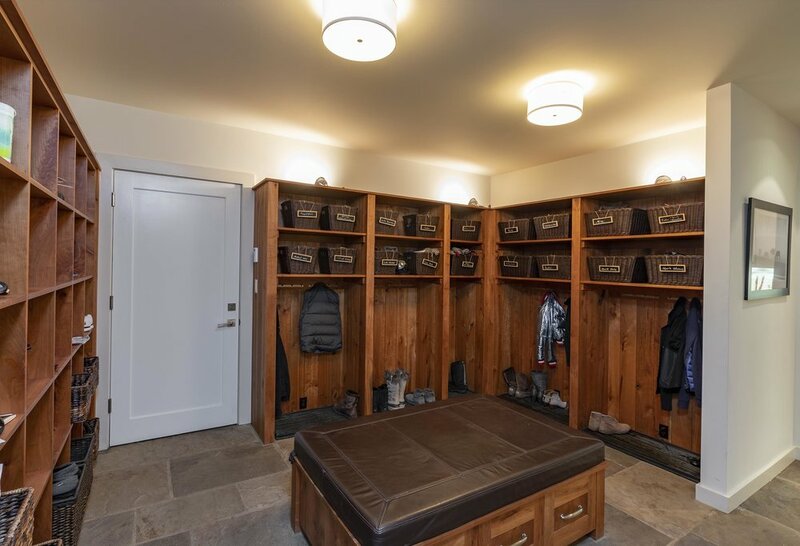 Just a 7-minute drive to Mountain Village core, this beautiful mountain retreat is one of best properties in the region.